It’s an American brand with over 100 years of history, but Buick now calls itself an international modern luxury brand, and it sold more cars in China last year than it did in the United States. Buick is also building cars in Asia. Its successful Envision SUV is manufactured in China, and the 2019 Encore is assembled in South Korea. That’s right, Korea. In fact, only 4 percent of the parts used to construct this small SUV are sourced from the United States and Canada, while 70 percent are from Korea and 15 percent come from China. 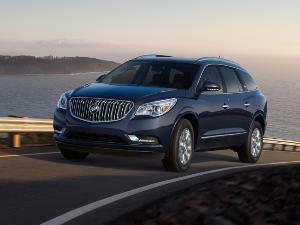 Building the Encore in Korea and shipping it to the United States has paid off for Buick. The Encore is the brand's best-selling model, topping its sales charts in America for the last three years. 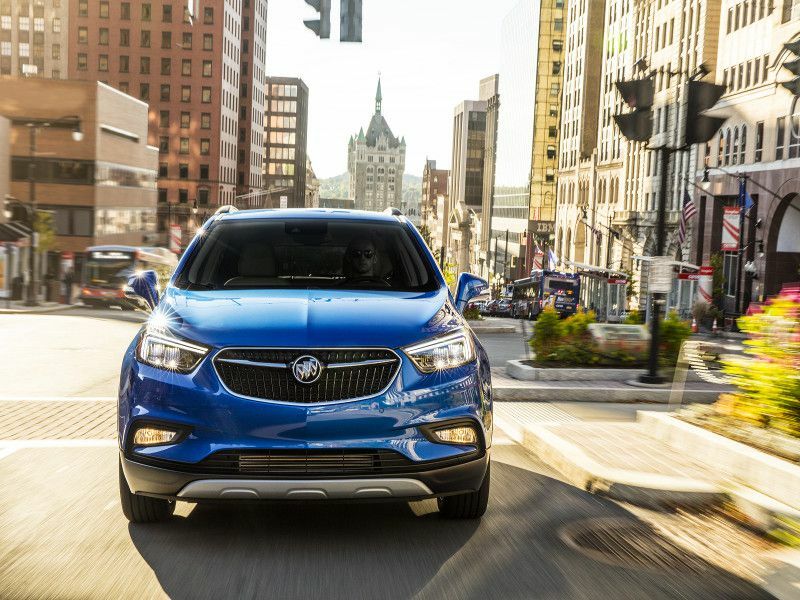 Buick now sells three SUVs in the US market, but the Encore is its smallest and least expensive sport utility. It’s a subcompact crossover that completes in a class exploding in popularity as more and more buyers choose small SUVs over sedans and coupes. 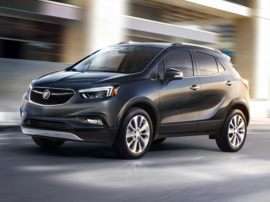 Four trim levels are available on the 2019 Buick Encore: Base, Preferred, Sport Touring, and Essence. Front-wheel drive is standard, but all-wheel drive is available on the top three trim levels for about $1,500. All Encore models come standard with a smooth and fuel-efficient 1.4-liter turbocharged four-cylinder engine with 138 horsepower and a six-speed automatic transmission. For an additional $250, a more powerful version of the engine with 153 hp is available on the Sport Touring and Essence models with either front-wheel drive or all-wheel drive. 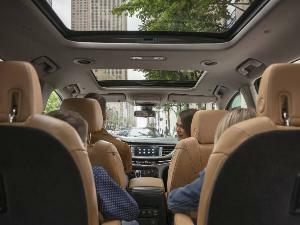 Prices start at $24,195, including a $995 destination charge, for the 2019 Encore with front-wheel drive, onboard Wi-Fi, keyless entry, an 8-inch touchscreen, and 18-inch wheels. The better-equipped Preferred starts at $25,595, while the Sport Touring costs just $1,200 more. The top-of-the-line Encore Essence, like our test vehicle, costs $30,295 and includes leather, heated front seats, and a heated steering wheel. 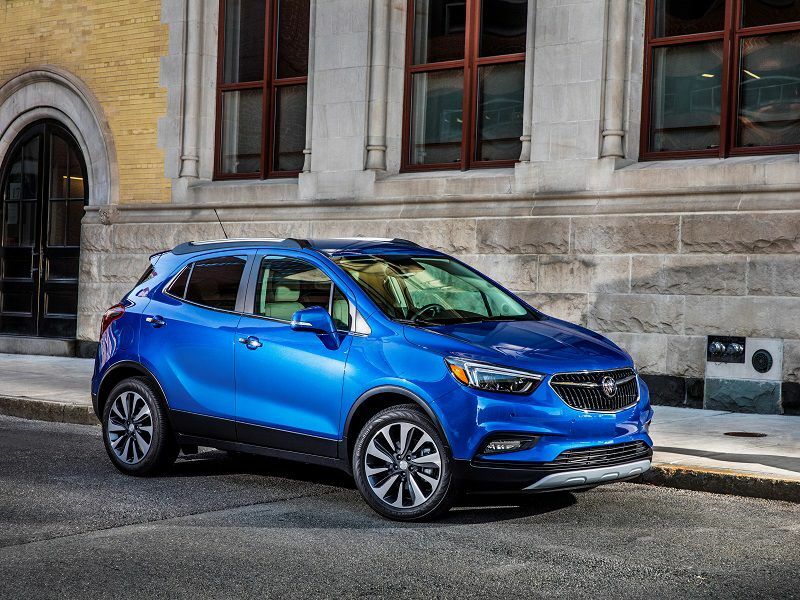 Keen-eyed consumers may notice a mild family resemblance between the 2019 Buick Encore and the Chevrolet Trax. 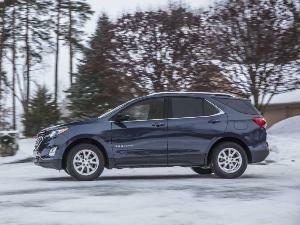 Both Buick and Chevy are part of General Motors, and the two compact crossovers share all their major components including their chassis, the 138=hp version of the 1.4-liter engine, and their six-speed automatic transmission. Although the two SUVs don’t look too much alike, they are the same size and share the same 100.6-inch wheelbase. To our eye, the Encore is better looking than the Trax. The Buick's lines are cleaner and more elegant. Its grille is simple and it’s not too big, which has become a trend. The design is modern and attractive, but it’s not very sporty. Buick has also resisted the urge to dress the Encore the blanket of black plastic that we see on so many SUVs. Designers think it looks rugged and ready for off-road adventure. Instead, the Encore Essence is adorned with some tasteful chrome trim on its door handles, tailgate, and beltline. 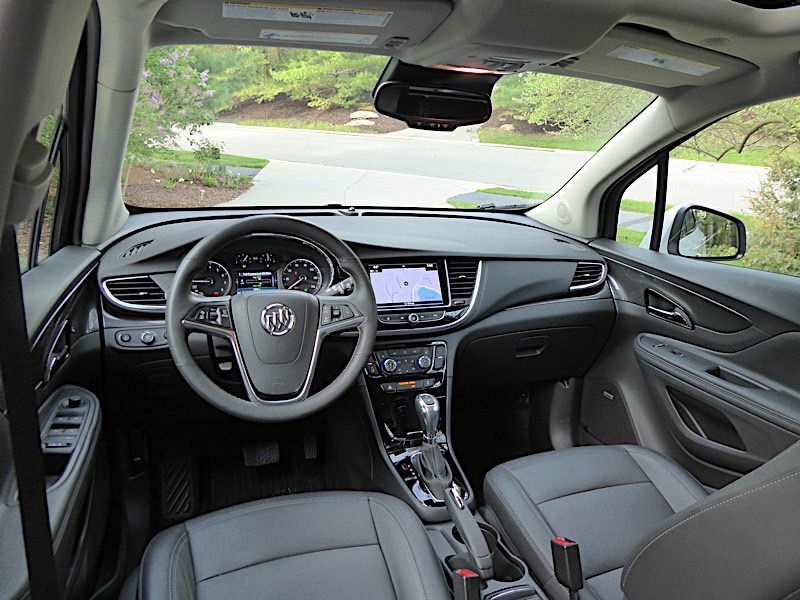 Larger than most subcompact crossovers, the 2019 Buick Encore seats four adults very comfortably and can haul five if the ride is short. Rear seat legroom is abundant for the segment. The heated leather front seats in our Encore Essence test vehicle were firm, supportive, and comfortable. During our week with the crossover, we drove it more than 300 miles in a single day and had zero seat comfort issues. For shorter drivers, the driver’s seat is height-adjustable and a tilt and telescopic steering wheel is standard, so it’s easy to find your preferred driving position. Although there’s a center armrest for the driver, there isn’t one for the passenger, which is a bit odd. All the controls are well placed and function with a feeling of quality. Fit and finish are also very good. There’s plenty of chrome trim and the gauges are clean and attractive. However, there is an abundance of hard plastic, and the lever-operated parking brake is too old-school for a luxury brand. We would prefer an electronic push-button parking brake. The Encore’s 8-inch infotainment touchscreen is large for the class and within easy reach. There’s also a large knob for adjusting the volume of the optional Bose premium audio system. Overall, the Buick’s infotainment system is simple to operate, and the touchscreen responds quickly to your commands. Our test car did not have a navigation system, which was disappointing considering its $33,075 sticker price. Navigation is a $495 option. Onboard Wi-Fi and Bluetooth are standard, and the system is compatible with Apple CarPlay and Android Auto. Directly ahead of the driver, sandwiched between the Buick’s speedometer and tachometer, is another 4.2-inch screen. It offers information ranging from a digital speedometer to the SUV’s tire pressures to its fuel economy and range. There’s also plenty of storage space inside the Buick Encore. The console bin is just large enough to be useful, and there’s a large bin ahead of the shifter that's perfect for your phone and wallet. There’s also another small cubby to the left of the steering wheel. The door pockets are sizeable and have slots for water bottles. The two front cupholders are large and placed behind the shifter, so tall drinks don’t interfere with any of the controls. The two rear cupholders are smaller and are housed in a center fold-down armrest. 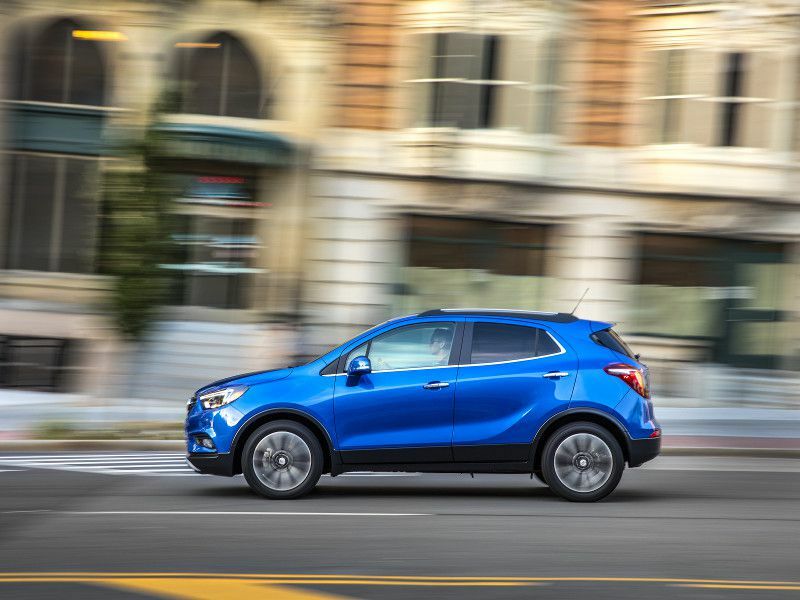 If you’re looking for cargo volume, you’ll like the 2019 Buick Encore. 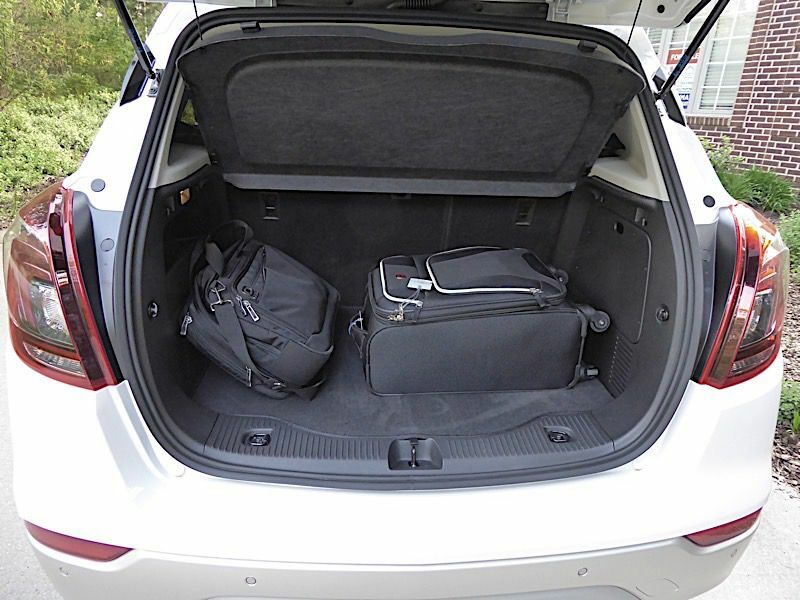 It offers 18.8 cubic feet of space behind its rear seat, which is large for this class. 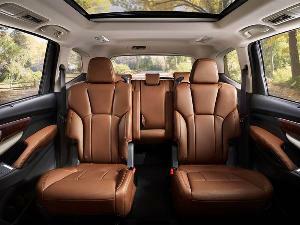 Every Encore also comes standard with a 60/40 split-folding rear seat, which can expand that space to 48.4 cubic feet. Surprisingly Buick does not offer a power liftgate on the Encore, but its liftgate is light and easy to open and close manually. 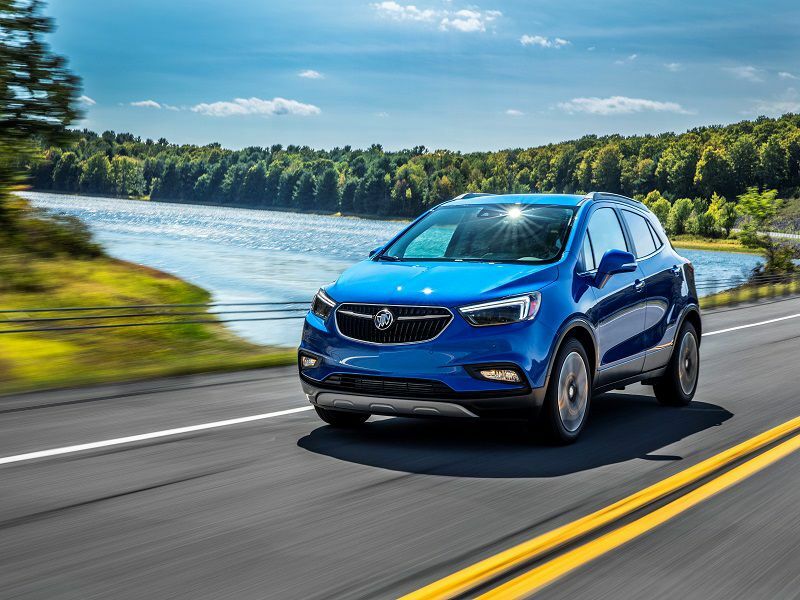 With the optional 153-horsepower engine, the 2019 Buick Encore is powerful and quick for its class. Most buyers will be satisfied with its acceleration and highway passing power. Merging on the highway, even with the weight of four adults on board, is easy and stress-free. With front-wheel drive, the Buick can accelerate from 0-60 mph in about 7.8 seconds, which makes it one of the quickest little SUVs in its class. That’s 1.5 quicker than an Encore with the standard 138-hp engine. It’s also quicker than competitors like the Nissan Rogue Sport or Mazda CX-3. The Encore is a bit slower with the additional weight of its optional all-wheel drive system. Around town, the turbocharged four-cylinder is responsive and smooth, although it could sound better. The tuning of the Buick’s six-speed automatic transmission is exceptional. Although there are no paddle shifters, it does have a manual mode just in case you want to choose your own gears, but you won’t need to. 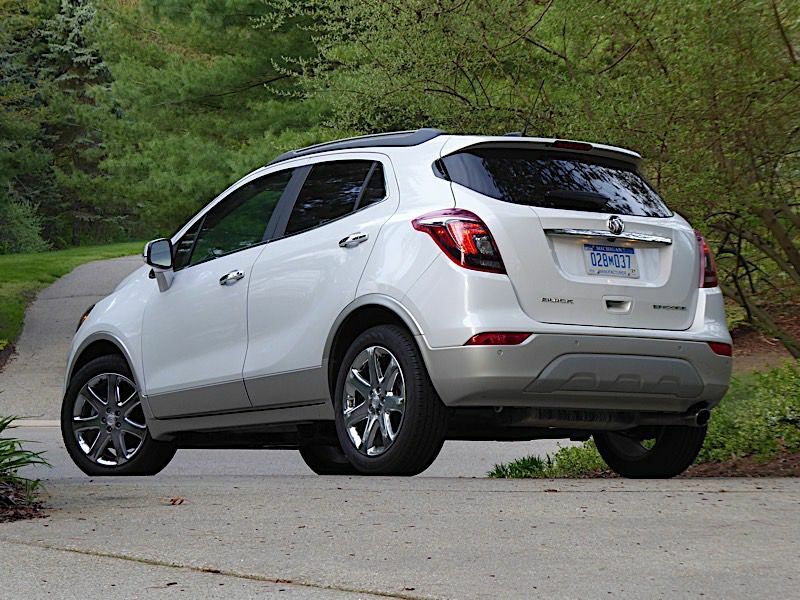 On the road, the Buick Encore feels a bit larger than it is. This is partially due to its spacious, quiet interior. It also feels solid, stable, and substantial. However, its thick roof pillars don’t help driver visibility. Handling is also impressive, with good balance and quick steering. The Encore's ride is comfortable, even on long drives, but some may find it to be a bit firm. Those expecting a wallowing, floaty Buick suspension will be disappointed. You can feel the road in this little SUV, but the ride is never jarring. 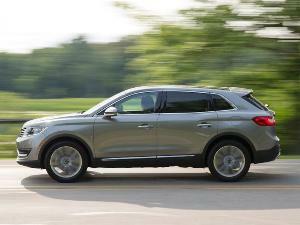 The Encore has received a five-star overall crash test rating from the National Highway Traffic Safety Administration, and some trim levels come standard with a blind-sport monitor and a rear cross-traffic alert. Our Encore test vehicle also came with an optional safety package that included front and rear parking sensors, a forward collision alert, and a lane-departure warning. 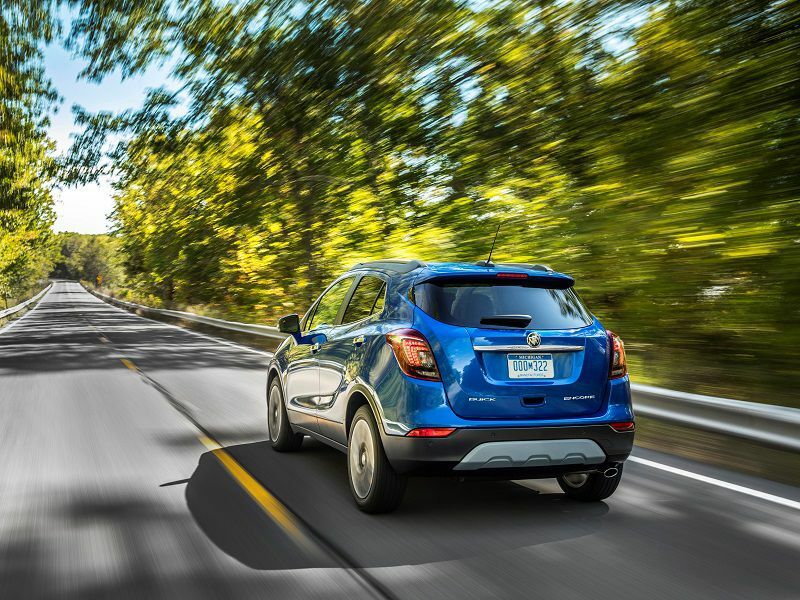 With front-wheel drive and the standard 138 hp engine, the Encore is rated at 25 mpg in the city and 33 mpg on the highway. With the additional weight of the optional all-wheel drive system, those numbers drop to 23 mpg in the city and 30 mpg on the highway. The upper trim levels with the 153-hp engine offer more performance along with even better fuel economy. This is partially due to the four-cylinder’s smooth start/stop technology, which shuts off the engine at idle to save fuel. With front-wheel drive, it’s rated 28 mpg in the city and 34 mpg on the highway, and it drops to 26 mpg city and 32 mpg highway with all-wheel drive. I averaged 30.1 mpg during a week of mixed driving around Los Angeles in our front-wheel drive test vehicle. Plus, the Encore runs on less-expensive regular-grade gasoline to keep ownership costs down. 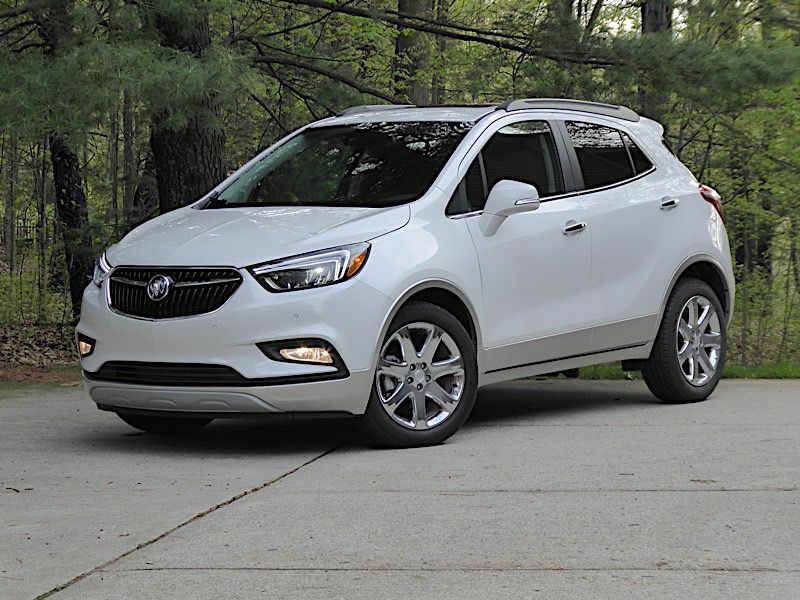 There are many subcompact SUVs to choose from in the Encore’s price range, but the Buick is unique in this class because it comes from a luxury brand. Small crossovers from BMW, Mercedes, Lexus, Acura, and others all cost significantly more than the Encore’s base price. That said, it is possible to buy a base Mercedes-Benz GLA or BMW X1 for the price of our test vehicle. The base Encore is priced attractively, but we recommend stepping up to the much better equipped Sport Touring model. Also, don’t miss out on the more powerful and more fuel efficient 153-hp engine. It’s a great value at just $250.